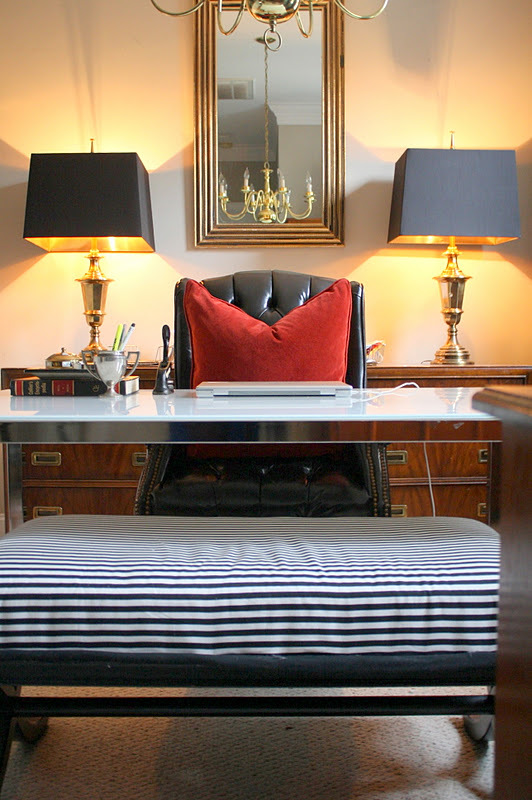 i blogged about my new office HERE. i always get a kick out of seeing the break down when people reveal their spaces. sometimes i cringe at the prices and sometimes i think okay. that was money well spent. the truth is, you can shop second hand stores and create an amazing space for you home, that doesn't look cheap or diy. the first order of business is that only one item in this space was a brand new purchase. everything else i already had. pillow: from target at $24.99 and 20x20, on sale two seasons ago (i picked up 4). target is a wonderful source to purchase foundational pieces for home decor. these pillows have been in my living room bed room and even a lil pillow for mr. benjamin to curl up on. desk: ikea torsby dining table. i have the longer one as well. chair: $100 from craigslist. the seller even brought it up stairs for me. bench: $89 from big lots. i recovered it in the sophia fabric from ikea at $6.99 a yard. it is now $129. lamps: vintage stiffel lamps $7.99 each from goodwill. 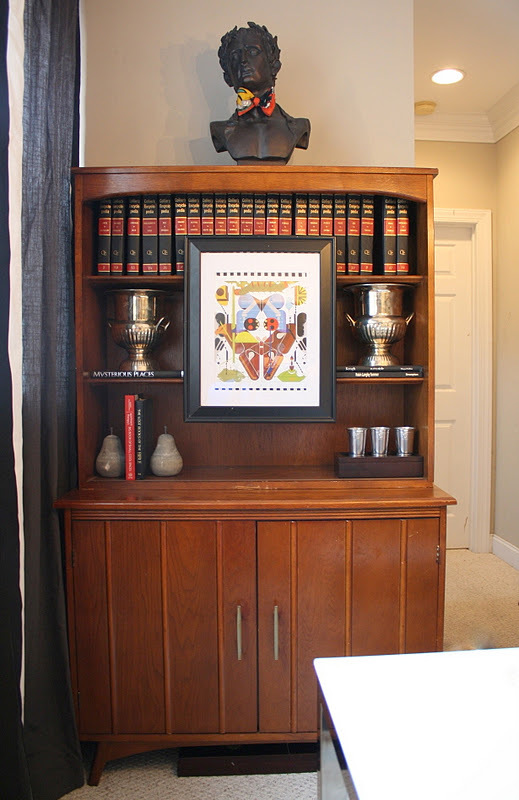 hutch: gift from Nate Berkus himself. watch this CLIP to see how surprised i was. truth is, none of my producers knew he was giving it to me. accessories: salavation army, goodwill, homegoods and local thrift stores. this office space is filled with items i have collected over the years. not just one fail swoop. if you need help pulling a room together you can email me at rashon@rashoncarraway.com. id love to work with you.